Project Space is an experimental space for exhibitions, performances and workshops at the heart of the School of Fine Art, History of Art and Cultural Studies. Throughout the year, Project Space hosts an ongoing programme of installations by internationally renowned artists and researchers, working collaboratively with students and staff. 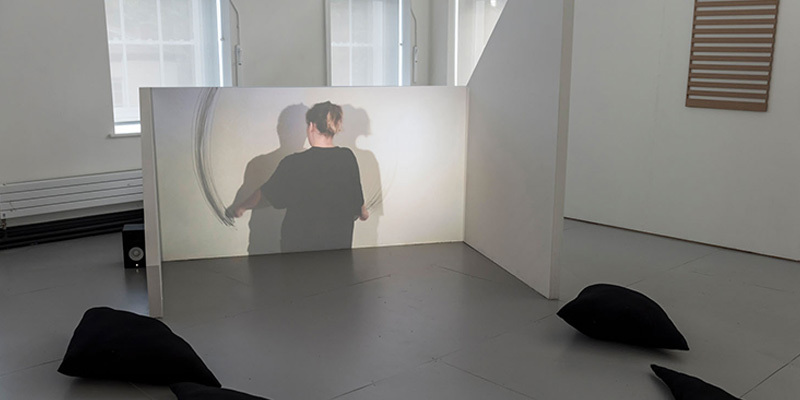 This rolling programme is overseen by the Centre for Audiovisual Experimentation (CAVE), one of our many dynamic research centres in the School. Project Space is the venue for regular exhibitions by practice-led PhD students in the School, and is one of the many spaces used for the annual BA Fine Art and MA Fine Art Degree Shows. It is also often the location for taught postgraduate placement exhibitions, where our students get the opportunity to work with professional curators and artists, and practice their curatorial skills.